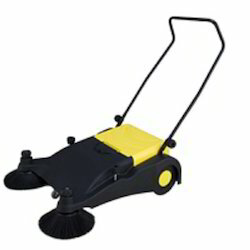 We offer excellent solution for cleaning through our manual sweepers ‘Flipper’. This is a walk behind sweeper which helps in quick and easy sweeping. Our manual sweeper is based on the high performance cleaning. 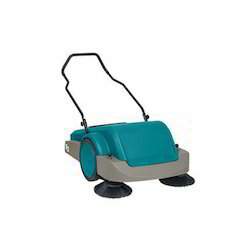 We offer excellent solution for cleaning through our Manual Sweeper Roots Multiclean ‘Flipper’ in entire Delhi/NCR. This is a walk behind sweeper which helps in quick and easy sweeping. Our manual sweeper is based on the high performance cleaning. 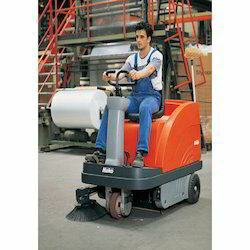 We offer high Power Suction Sweepers from hako that has sweeping capacity of 3,400 sq. Mt / hr. Sweeping Machines offered are precision constructed machines that are designed to deliver efficient and effective cleaning performance. Requiring minimum maintenance, these machines are backed by latest process technology and are made available with adjustable side brush can be lifted up as well as solid frame powder coated metal to deliver efficient performance. 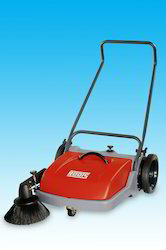 Manual Sweeper (Flipper) is made by experts in compliance with current trends using fine quality materials. Incorporated with new innovative anti-wrap technology, these sweepers are embedded with roto-mould self collecting dirt hopper. Immensely used in hospitals, on road side areas, factory, companies, malls and railway stations even home also for cleaning, Manual Sweeper (Flipper) is offered to clients without any delay. Looking for Manual Sweepers ?